Hello dear reader. 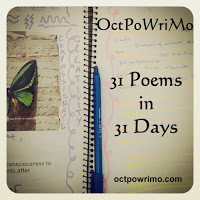 Today's prompt for #OctPoWriMo was to write about the moon, and how it affects us. I didn't use any of the word prompts, but the one 'feeling' prompt I used was based on the word nostalgic. Also, this poem marks the first time in this challenge that I have strayed away from FreeVerse poetry. Today's work is an acrostic. Thus, the name of the poem is Moonscapes, and the first letter of every line forms that word. Please enjoy.